Lauren Ybarra is still coping with the loss of her mom, Pam. The mother of three was a huge Texas Rangers fan, enjoyed helping people and loved working for Target in Frisco. "Target meant so much to her," said Ybarra. 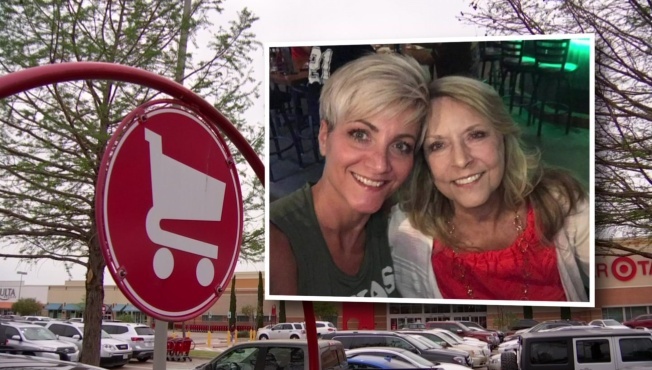 "Every time we went in to Target, we would always go check and see if mom was there." But last summer, Pam was diagnosed with stage 4 stomach cancer and eventually went on long-term disability. "My mom was really worried. She actually cried to my sister. She just wanted to leave us with something. My sister promised her all the paperwork was going to be done and everything would be fine and she had nothing to worry about," Ybarra explained. She said they went to Target and met with someone in HR who assured them that their mother’s life insurance policy was in place. "A month or so after my mom passed, they told us everything was fine and we’d be hearing from the insurance policy," Ybarra said. But the family said they they never got a call, so they reached out to Target again. They said that's when they were told their mother's life insurance policy had been canceled. "I'm just shocked because we had gone through all this work to make sure that it's in place," she explained. Ybarra said a life benefits agent told them that all Target employees lose their life insurance if they're out of work for more than 120 days, even those on long-term disability. "I thought, that can't be right," she said. "We want to be honoring my mom's memory, not fighting over somebody over something that was one of her last wishes." Ybarra and her sisters said they made sure their mother's policy was in tact before she died, and when they couldn’t get Target to provide more answers, they called me. "You've have had success helping people out with problems like this," she said. "I just wanted them to take care of her, to fulfill their promise to her." I reached out to a Target spokesperson, who told me in part, "We worked with Target's benefits provider to thoroughly review this claim and found that the policy holder did not complete a necessary step to get the claim approved." But Ybarra said Target's response is just an excuse. "We kept getting the runaround, and not until you guys contacted them did they say anything about missing paperwork. That was the first they did anything of the sort," she said. "It felt like they were being dishonest." But a week later, the family received a call from Target that changed everything. "We get a call saying we're going to get a check and it’s going to be overnighted," she said. They received a check from Target for more than $23,000. "Mom was probably smiling down on us, glad she was able to leave us something," said Ybarra. The loss of their mom is still hard, but the family is thankful to have this problem solved. Target told me Pam's life insurance policy was within a grace period where their employees can make changes, and based on this, they were able to pay out the policy in full. The daughters wondered why Target didn't just tell them about this grace period in the first place, but they're glad to have that $23,000 their mother worked so hard for.